2011 - 2015 Honda Odyssey (ALL MODELS). 2006 - 2015 Honda Civic (ALL MODELS). 2009 - 2015 Honda Pilot (ALL MODELS). 1x FUEL CAP as picture. 2009 - 2013 Honda Fit (ALL MODELS). 2007 - 2014 Honda CR-V (ALL MODELS). 2011 - 2015 Honda Odyssey (ALL MODELS). 2010 - 2014 Honda Insight (ALL MODELS). 2006 - 2015 Honda Civic (ALL MODELS). 2009 - 2015 Honda Pilot (ALL MODELS). 1x FUEL CAP as picture. 2009 - 2013 Honda Fit (ALL MODELS). Fuel Filler / Gas Cap. 2010 - 2015 Honda Crosstour. 2006 - 2015 Honda Civic. 2007 - 2014 Honda CR-V. 2010 - 2014 Honda Insight. 2009 - 2013 Honda Fit. 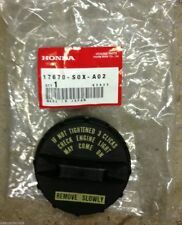 Condition, Original Honda,Fuel Tank Gas Cap, p/n:17670-SHJ-A31. 2001-2005 Honda Civic. 2002-2004 Honda CR-V. 2001-2005 Honda Insight. FUEL GAS TANK FILLER CAP WITH TETHER ASSEMBLY. OEM Part Number Factory, OEM. Head Lights. Tail Lights. Mirror Interior. Mirror Exterior. Sun Visors. Part Number: 10504. Established in 1959! 100% genuine OEM Honda product. Part# 17670-SHJ-A31. 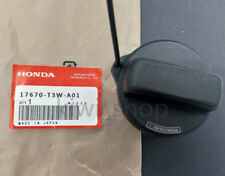 Made by Honda Motor Co., Ltd. Genuine OEM Honda / Acura Fuel Filler Gas Cap 17670-SHJ-A31. 2005-2006 Acura MDX. 2005-2006 Acura RSX. 2005-2008 Acura TL. 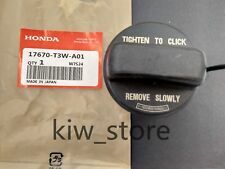 FOR Parts 17670-T3W-A01 Fuel Filler Cap For Honda US. Must reuse existing clip from old fuel cap to attach to vehicle fuel door. defective gas cap. 1x fuel cap as picture. 2006 - 2015 Honda Civic (ALL MODELS). Fuel Filler / Gas Cap. 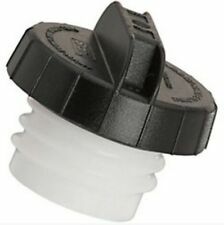 Must reuse existing clip from old fuel cap to attach to vehicle fuel door. 2008 - 2017 Honda. 2010 - 2015 Honda. GENUINE FACTORY OEM. 2006 - 2015 Honda. 2007 - 2016 Honda. 2016 - 2018 Honda. "Delphi Fuel Pump --. Operation : Electric. Fuel sending unit included : With Fuel Sending Unit. Therefore all implied warranties that may apply to your part are limited to the duration of this written warranty. Part/Notes: FUEL TANK. -Life is life and issues arise; people make mistakes. 2009 - 2015 HondaPILOT (ALL MODELS). Honda PILOT. Fuel Filler / Gas Cap. GENUINE FACTORY OEM. We make every effort to represent what these parts are and what vehicles they fit. Galpin Honda wants to be sure you are getting the item you want or need. 2011 - 2015 Honda Odyssey (ALL MODELS). 2006 - 2015 Honda Civic (ALL MODELS). 2009 - 2015 Honda Pilot (ALL MODELS). 1x FUEL CAP a s picture. 2007 - 2014 Honda CR-V (ALL MODELS). 2010 - 2015 Honda Crosstour (ALL MODELS). "Denso Fuel Pump --. Fuel sending unit included : Without Fuel Sending Unit. Quantity sold : Kit. Therefore all implied warranties that may apply to your part are limited to the duration of this written warranty. "Delphi Fuel Pump --. Fuel sending unit included : With Fuel Sending Unit. Operation : Electric. Therefore all implied warranties that may apply to your part are limited to the duration of this written warranty. "Spectra Fuel Pump --. Operation : Electric. Fuel sending unit included : With Fuel Sending Unit. Therefore all implied warranties that may apply to your part are limited to the duration of this written warranty. Off a 2004 Honda Pilot EXL. Part/Notes: GAS / FUEL TANK. -Life is life and issues arise; people make mistakes. 2006 - 2015 Honda Civic (ALL MODELS) 2007 - 2014 Honda CR-V (ALL MODELS) 2008 - 2015 Honda Accord (excludes Hybrid) 2010 - 2015 Honda Crosstour (ALL MODELS) 2010 - 2014 Honda Insight (ALL MODELS) 2009 - 2013 Honda Fit (ALL MODELS) 2015 Honda Fit (ALL MODELS) 2011 - 2015 Honda Odyssey (ALL MODELS) 2009 - 2015 Honda Pilot (ALL MODELS). Up for your consideration is an OEM Honda gas cap. Compatibility list is not a complete list and only shows limited vehicles. If your cap doesn't look like one in the pictures, it probably doesn't work for your vehicle. Model: HONDA PILOT. This item is from a 2003 HONDA PILOT. Fuel Tank Assembly. Year: 2003. Labor is not covered by warranty. FUEL GAS TANK FILLER CAP WITHOUT TETHER ASSEMBLY. 2003 - 2004HONDA PILOT LX EX 4D SUV. HONDA PILOT LX EX. OEM Part Number Factory, OEM. Head Lights. Tail Lights. Mirror Interior. This Gas Cap will work on the following vehicles;. 2006 - 2009 HONDAS2000 COUPE(ALL MODELS). 2006 - 2014 HONDARIDGELINE PICK-UP (ALL MODELS). 2005 - 2005 HONDAPILOT SUV (ALL MODELS). 2011 - 2015 HONDACR-Z (ALL MODELS). Part Number: 10837. Established in 1959! "Spectra Fuel Tank Filler Neck --. Condition : New. Therefore all implied warranties that may apply to your part are limited to the duration of this written warranty. Each warranty gives you specific rights, and you may have other rights which vary from state to state. FUEL GAS TANK FILLER CAP WITH TETHER ASSEMBLY. HONDA PILOT EX EXL LX SE EX-L TOURING. 2009 - 2015HONDA PILOT EX EXL LX SE EX-L TOURING 4D SUV. OEM Part Number Factory, OEM. Head Lights. Tail Lights. Fuel Filler Cap. GENUINE FACTORY OEM. We make every effort to represent what these parts are and what vehicles they fit. Galpin Honda wants to be sure you are getting the item you want or need. Galpin Honda. Part Number: 10507. Established in 1959! Part #17670T3WA01. 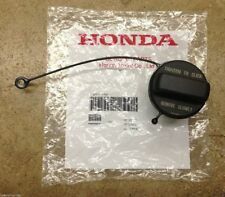 Gas Cap might fit Different Model/Year Honda Pilots' or Honda's. "Denso Fuel Pump --. 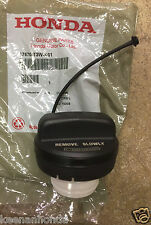 Fuel sending unit included : Without Fuel Sending Unit. Therefore all implied warranties that may apply to your part are limited to the duration of this written warranty. Each warranty gives you specific rights, and you may have other rights which vary from state to state.